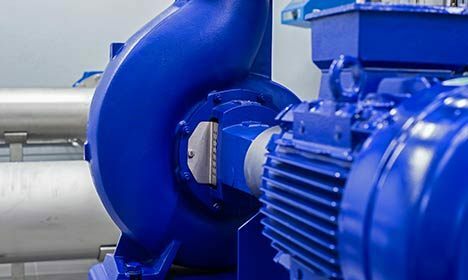 Our composites in the form of vanes and bearings improve reliability, efficiency and service intervals in pumps and compressors across the world. 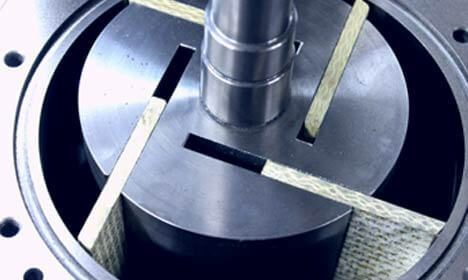 Our high quality rotor vanes for vacuum pumps and compressors are used in a range of applications. The heavy-duty end of the range includes ammonia boosters within the refrigeration industry and tanker discharge pumps for sewage maintenance. The medium duty range includes milking pumps and the high vacuum and dry running range of pump vanes are found in analytical equipment and hospitals. Our FEROFORM and RAILKO composites are used as bushes, neck rings, wear rings, and thrust plates in pumps conveying all manner of fluids. The materials have low coefficient of friction and high abrasion resistance giving long life performance and chemical resistance. Examples of pumps where our bearings can be found are vertical turbine pumps for the seawater lift and cooling pumps for power stations. Other applications include horizontal pumps and centrifugal pumps.